DESCRIPTION: AGES was constituted in June 2002 by the merger of 18 federal institutes as a national control and research agency for health and food safety in Austria responsible for analysis and risk assessment in agriculture, food, veterinary medicine and human medicine. The primary responsibilities of AGES are the protection of health of humans, animals and plants, food quality and safety and the protection of consumer interests. AGES provides scientific advice on phytosanitary and plant protection matters in Austria including the detection, identification and forecasting of plant pests, research on phytosanitary pests and the development of biological and integrated plant protection measures for their control, pest risk assessment studies and the evaluation of plant protection products for their implementation into production guidelines of the Austrian programme for environmentally friendly agriculture (OEPUL). DESCRIPTION: The BMNT has long-term experience with ministry-related research offices, as well as contract research and development projects in the broad range of agriculture, food, forestry, water management and environment topics, tourism, mining. Since 2002 the research programme PFEIL, based on durations of 5 years, defines priorities within the research organisation and external funded research projects. 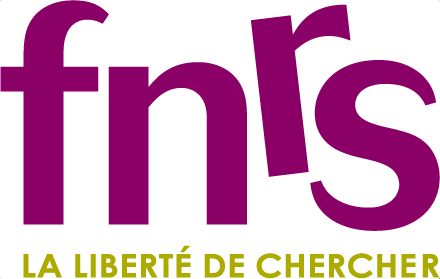 DESCRIPTION: The Fund for Scientific Research - FNRS (F.R.S.-FNRS) is a research funding agency that promotes and supports basic scientific research in the French-speaking Community of Belgium. Founded in 1928, it mainly receives public subsidies, currently from the French-speaking Community of Belgium, the Walloon Region and the Federal Government of Belgium. The Fund supports individual researchers on the basis of the criterion of excellence by offering temporary or permanent positions; funding to research teams; grants and credits for international collaboration and scientific prizes. F.R.S.-FNRS fosters research in all scientific fields, following a bottom-up approach of investigator-driven research. Further, the Fund supports researchers in an ever growing context of internationalization through facilitating their mobility, allowing for collaborative transnational projects and supporting a high level international working environment. Since October 2008, Dr. Ir. Véronique Halloin is the Secretary-General of F.R.S.-FNRS. 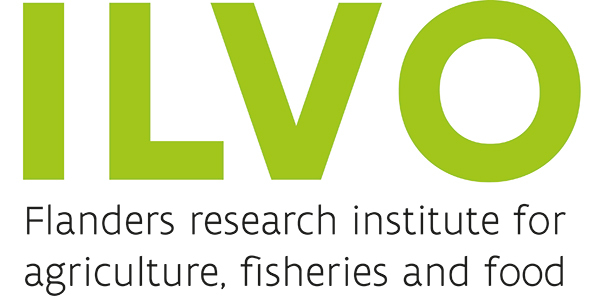 DESCRIPTION: ILVO is an applied research institute and service provider of the Government of Flanders in Belgium. It stands for multidisciplinary, innovative and independent research and specialized service provision in all fields related to agriculture, fisheries and food. ILVO works collaboratively to present and clarify societal choices concerning an economically, ecologically and socially sustainable future. It therefore accumulates fundamental and applied knowledge, which is vital for the improvement of products and production methods, for quality control and the safety of end products, and for the amelioration of policy instruments as a foundation for sector development and agricultural policy for rural areas. ILVO activities cover the entire food chain from the primary production to the processed product ready for consumption, with emphasis on innovation and sustainability aspects. Research disciplines relevant for this proposal are agronomy, plant genetics & physiology, plant breeding, crop protection, microbiological and chemical food safety, product innovation, product quality and authenticity, environment & nature, and agricultural & farm development. DESCRIPTION: The Estonian Research Council (Eesti Teadusagentuur, ETAg), the main R&D funding organization in Estonia, was established in 2012 to consolidate different grants and types of research funding. A successor of the Estonian Science Foundation (Eesti Teadusfond, ETF), ETAg is governmental foundation responsible to the Ministry of Education and Research. ETAg keeps its predecessor’s expertise in supporting excellent research initiatives in all fields of basic and applied research. In the field of international collaboration, ETAg cooperates with Science Europe, and participates in ERA-NET Cofunds and other international bi- and multinational cooperation programmes. It acts as the National Contact Point in EU Framework Programmes, coordinates participation in the COST network and offers counselling of international researchers through the EURAXESS network.ETAg also runs a wide variety of science communication activities directed to the general public. DESCRIPTION: The area of government of the Ministry of Rural Affairs of the Republic of Estonia covers the planning and implementation of rural policy, agricultural policy, fishing industry of the fisheries policy and the trade policy of agricultural products, the organisation of ensuring food safety and compliance, the coordination of the activities related to animal health and protection and plant health and protection, the organisation of agricultural research and development and agricultural education and the preparation of corresponding draft legislation. 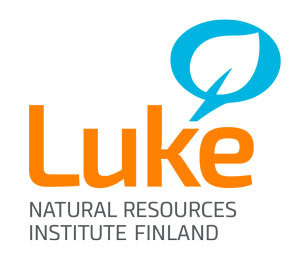 DESCRIPTION: Natural Resources Institute Finland (Luke) is Finland’s second largest governmental research institute, performing non-profit research and providing expert services, in order to advance the bioeconomy and the sustainable use of natural resources. 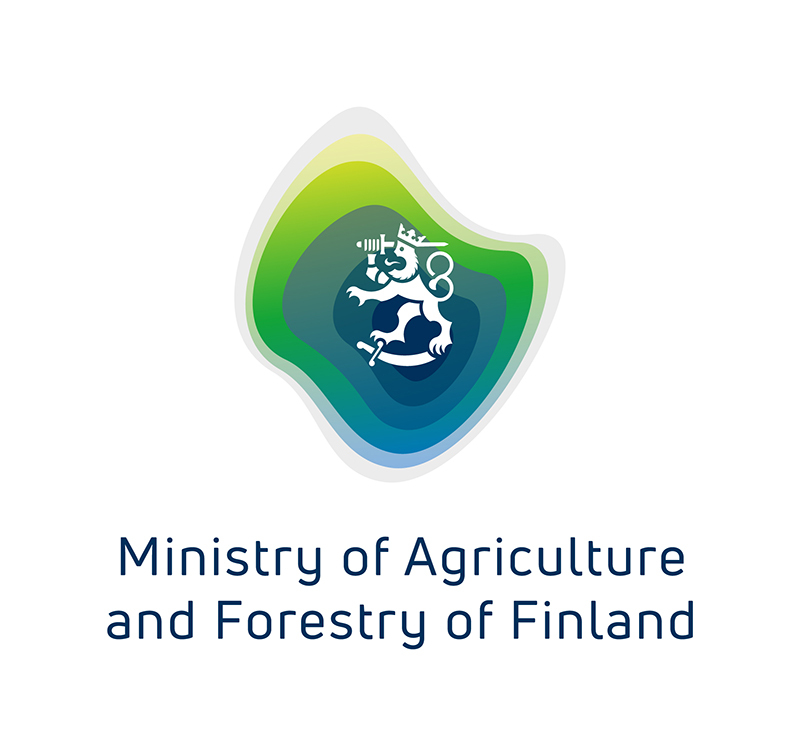 Luke operates under the Ministry of Agriculture & Forestry and was formed in 2015 from a merger of MTT Agrifood Research Finland, Finnish Forest Research Institute (Metla), Finnish Game & Fisheries Research Institute (RKTL) and the ministry’s Information Centre (Tike). Luke’s research is divided into four broad, multidisciplinary programmes: Boreal Green Bioeconomy, Blue Bioeconomy, Innovative Food System and BioSociety. These research programmes, developed together with end-users, aim to create new bio-based products and business opportunities, increase productivity by digitalisation, support regional vitality through the circular economy, create well-being from immaterial values, and support the profitability of healthy food production. Luke is also responsible for statutory and expert services, indicated via legislation or ministries, including estimation of predator, game and fish populations, maintenance of the forest inventory, conservation of genetic resources, plant and crop production, bioeconomy forecasting, and consulting and providing solutions to industrial clients. Luke currently employs ~1,300 personnel (full-time equivalent) half of which are researchers. Luke operates at 25 research sites across the country and has an annual turnover of €122 mn (2017). Luke has vast experience in national and international research collaboration and project management and is currently participating in ~70 ongoing international EU-funded projects, ten of which it is coordinating. Its experienced support services will provide expert assistance in project management, financial management, data management, communication, dissemination and exploitation of the results. DESCRIPTION: Ministry of Agriculture and Forestry (MMM) steers the policy on sustainable use of natural resources and the policy on food chain. Our mission is to secure domestic food production and sustainable use of renewable natural resources and create the preconditions for economic activities and well-being derived from these. Legislative work is carried out as part of the Finnish Government and the EU institutions and decision-making. The organisation structure confirms the new strategy, with the functions of the Ministry and the whole administrative branch focused on two main sectors, food and renewable natural resources. The staff of the Ministry is about 250. The budget of the Ministry of Agriculture and Forestry totals 2,8 billion euros of which research covers about 90 million euros (funding of research institutes and free competitive research funding). MMM has three research institutes reporting to the ministry, of which the biggest one is Luke, Natural Resources Institute, Finland. DESCRIPTION: The French National Research Agency (ANR) was established by the French government in 2005 to fund research projects, based on competitive schemes giving researchers the best opportunities to carry out their projects and paving the way for ground-breaking new knowledge. The main mission of ANR is to fund the best basic research, but also targeted and applied research in particular through partnerships between companies and public sector laboratories. Its action supports French research excellence at both academic and technological levels by means of a rigorous selection process based on evaluation by peer review. Since 2014, ANR’s annual Work Programme is developed in coordination with the "France Europe 2020" Strategic Agenda presented by the Minister for Higher Education and Research. In the context of these annual Work Programmes, ANR funds all scientific fields, for both fundamental and industrial research, including European and international cooperation. Since 2010, ANR has also been the principal operator of the “Investments for the Future” programme in the field of higher education and research. In this role it ensures the selection, funding and monitoring of projects relating to the centers of excellence, health, biotechnologies, and the transfer of technology and the creation of value from research. Finally, it is also the ANR's mission to strengthen international cooperation by contributing in particular to the funding of international consortia in partnership with other funding agencies in Europe and beyond. DESCRIPTION: INRA is ranked the number one agricultural institute in Europe and number two in the world. It carries out mission-oriented research for better food and nutrition, preservation of the environment and competitive, sustainable agricultural practices. 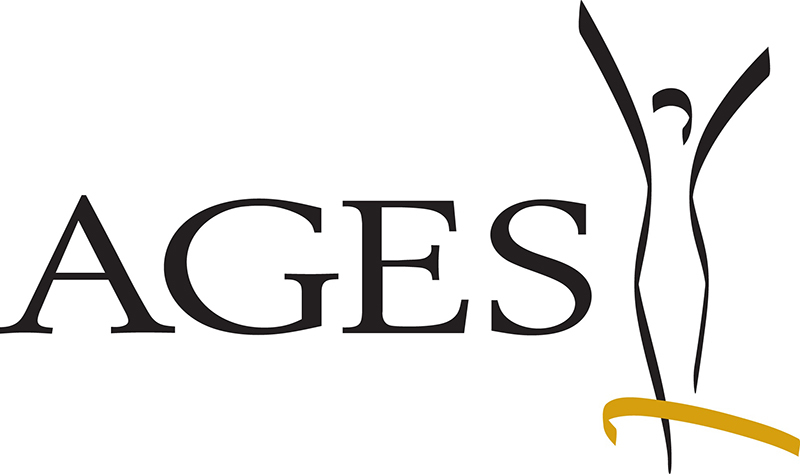 INRA is placed under the aegis of both the Ministry of Higher Education and Research and the Ministry of Agriculture and Fisheries. Its activity is defined through a quadrennial contract with these two ministries. The research conducted at INRA concerns agriculture, food, nutrition and food safety, environment and land management, with particular emphasis on sustainable development. INRA covers the whole field of agricultural research including environmental research, rural areas and rural development, food and nutrition and employs 10 200 people (among them 1,800 researchers and 1,600 doctoral students), in 13 scientific departments. Its budget is around 770 M€. INRA has a long history coordinating and participating in ERA-NETs, and ERA-NET plus and ERA-NET cofunds. DESCRIPTION: The Federal Office for Agriculture and Food (Bundesanstalt für Landwirtschaft und Ernährung, BLE) is a German institution under public law, directly subordinated to the Federal Government and empowered to conduct business on behalf of the Federal Ministry of Food and Agriculture (BMEL). The BLE fulfils a variety of tasks: Its mandate includes carrying out measures, which strengthen agriculture, food production, fishery and forestry as well as rural areas. In addition, the BLE acts as funding body for Research and Innovation and as programme manager for BMEL on national, European and international level in the field of agriculture and food production. Related programmes are the Federal Programme on Innovation, the Federal Organic Farming Scheme and a specific programme dedicated to transnational cooperation supporting initiatives like ERA-NETs and JPIs. The BLE department “European Research Affairs” focuses on the coordination and collaboration towards the ERA and is currently a partner in 12 ERA-NETs, 2 of which it is coordinating, and two JPIs along the whole value added chain. The BLE is also member of the Standing Committee on Agricultural Research (SCAR) on behalf of BMEL. DESCRIPTION: By means of special funding programmes, which are based on public competitive calls and peer review evaluations, the Federal Ministry of Education and Research - as a part of the federal government – is supporting innovative projects in various research sectors; e.g. in basic sciences, sustainable development, information and communications technologies, life sciences, chemistry and materials science, transport or space research. The funding of research on sustainable crop production is embedded in the National Research Strategy BioEconomy 2030, large parts of which are externalised to JUELICH, especially within the priority area “Ensuring sustainable agricultural production”. DESCRIPTION: The Federal Ministry of Food and Agriculture (BMEL) as a part of the Federal Government covers a wide variety of activities. Besides political activities arising out of the challenges of these fields, BMEL focuses on the agricultural research and innovation sector, which is closely linked to the future-centric topics i.e. feeding the global population, climate protection and renewable resources. One of the main goals is to protect the natural environment through sustainable agricultural production including production of foodstuff from livestock. BMEL developed a National Strategy on Sustainable Animal Production. DESCRIPTION: The DFG is the self-governing organisation for science and research in Germany. It serves all branches of science and the humanities. In organisational terms, the DFG is an association under private law. Its membership consists of German research universities, non-university research institutions, scientific associations and the Academies of Science and the Humanities. The DFG receives the large majority of its funds from the federal government and the states, which are represented in all grants committees. The main task of the DFG is to select the best projects by researchers at universities and research institutions on a competitive basis and to finance these projects. Individuals or higher education institutions submit proposals in a particular field of curiosity-driven basic research that they themselves select. Interdisciplinary proposals are also considered. In a multi-layered decision-making process, the proposal is evaluated by voluntary reviewers exclusively according to scientific criteria; on the basis of this expert review, it is assessed by elected members of a review board, and the final decision is made by a grants committee. DESCRIPTION: Research Centre Juelich (JUELICH), Project Management Juelich (PtJ): PtJ is a German project management agency within the Research Centre Juelich which undertakes the management of R&D and innovation programmes of various contractors representing the national government; mainly the Federal Ministry of Education and Research (BMBF), the Federal Ministry for Economic Affairs and Energy (BMWi), the Federal Ministry for Environment, Nature Conservation and Nuclear Safety (BMU). PtJ´s Division for Biological Innovation and Economic (BIO) is responsible for the administration of all funding in the context of the National Research Strategy BioEconomy2030. For that purpose, JUELICH is formally authorised by the ministry to conduct all tasks related to the programme management i.e. launch of calls, evaluation as well as contractual and financial administration. 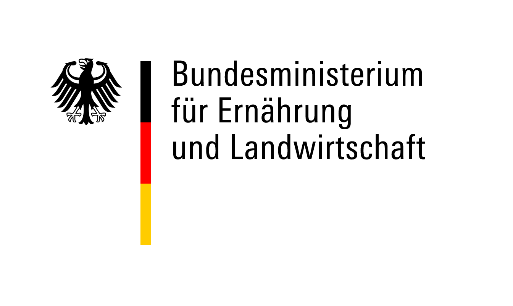 PtJ allocates and distributes financial resources exclusively from the federal governmental budget on behalf of the BMBF in accordance with requirements of national research funding. Beyond this, JUELICH assists the ministry in planning, analysing, updating and evaluating/ monitoring the programme as well as in supporting dissemination and exploitation of results and governing issues. It also hosts several national contact points (NCP) for the 7th Research Framework Programme and Horizon2020 of the EU, among others for the thematic priority Life Sciences, Genomics, and Biotechnology for Health. 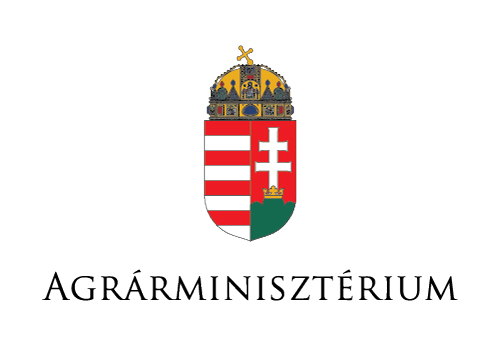 DESCRIPTION: The Hungarian Ministry of Agriculture is a central government authority with a broad range of responsibility comprising among others the following horizontal activities: policy on sustainable plant production and animal breeding, protection of the environment, aquaculture, forestry, agricultural economy and food industry. The Department for Knowledge-driven Agriculture serves as the unit in charge of agricultural research and innovation under the direction of the state secretary for agriculture. The Department is overseeing the Research Institute of Agricultural Economics (AKI) and the National Agricultural Research and Innovation Centre (NAIK) which was established by aligning the activities of thirteen research institutes in the field of agriculture and food science and another four institutes as companies joined to NAIK. To face the challenges ahead of them, farmers, foresters, food and bio-based industries need new knowledge that can be implemented on the ground. The Ministry of Agriculture is managing the research programme National Protein Feed Supply Programme. The key objective is to promote research projects for finding alternatives to GM soya to ensure sustainable protein supply. Policy advice and development on all areas of Departmental responsibility. Representation in international especially EU and national negotiations. Development and implementation of national and EU schemes in support of Agriculture, Food, Fisheries, Forestry and Rural Environment. Monitoring and controlling aspects of Food Safety. Control and audit of public expenditure under its control. Regulation of the agriculture, fisheries, and food industries through national and EU legislation. Monitoring and controlling animal and plant health and animal welfare. Monitoring and direction of State Bodies engaged in the following areas - research training and advice - market development and promotion- industry regulation and development commercial activities. Direct provision of support services to Agriculture, Fisheries, Food and Forestry. DESCRIPTION: Teagasc – the Agriculture and Food Development Authority – is the national body providing integrated research, advisory and training services to the agriculture and food industry and rural communities in Ireland. Its mission is to support science-based innovation in the agri-food sector and the broader bio-economy that will underpin profitability, competitiveness and sustainability. Teagasc is an active participant in European research coordination and alignment. Teagasc is a member of the EC’s Standing Committee on Agriculture Research (SCAR), the Governing Board of FACCE JPI and many ERA-NETs (e.g., ICT-AGRI, ICT-AGRI II, Ruragri, c-IPM, ERA-NET+ on Climate Smart Agriculture, SusAn). Teagasc is the Coordinator of the ERA-NET Cofund, FACCE ERA-GAS, and has extensive experience of coordinating FP7 and Horizon 2020 research projects, including GrassMargins (289461), AutograssMilk (314879), MushTV (286836), MASTER (818368) and FAIRShare (818488). Furthermore, Teagasc has developed several bilateral agreements with research organisations internationally. DESCRIPTION: The Italian Ministry for Education, University and Research (MIUR) is the key RTD policy actor and funding agency in Italy at state level. MIUR is in charge of preparing the National Research Programme (PNR – Piano Nazionale della Ricerca) proposal, submitting it to the Government and directly managing it. Besides that, the Ministry is in charge of defining the strategic priorities for research and higher education, and has the following responsibilities: 1. coordination, assessment and evaluation of the national university system and advanced training schools; 2. supporting and fostering basic research in university and research institutions, programming intervention in public research institutions; 3. coordination, regulation and funding of national research institutions; 4. coordination of the research activities promoted by other Italian Ministries; 5. monitoring and supporting the integration between the research system and industries; 6. integration between public research and applied research; 7. promoting and supporting research in the industry system; 8. funding research programmes for Italian southern regions; 9. promoting initiatives such as the Funds for the Diffusion of Scientific Culture (PUS); 10. enforcement of EU and international rules on university education and research. The Ministry also has key responsibilities for international co-operation. It concludes bi- and multilateral agreements on research and technology collaboration, and is in charge of co-ordinating Italy’s participation in the European Union’s Framework Programme. 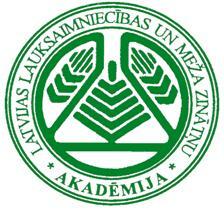 DESCRIPTION: Latvian Academy of Agricultural and Forestry Sciences (LAAFS) was established on 4 June 1992. LAAFS is a non-profit scientific organisation, where scientists, basing on voluntary principles, are unified, representing the following branches – agriculture, rural economy, veterinary science, food science, engineering sciences, food and wood processing. In total the LLAFS unites 195 full members, all of them holding PhD degree. The members have a considerable number of articles published in international data-bases, inter alia SCOPUS and ThomsonReuters and considerable experience in scientific projects’ implementation, both national and international level. Every year in the summer moths Latvian Academy of Agricultural and Forestry Sciences (LAAFS) participates in field trials and laboratory experiment events, in which the scientific institutions of agriculture and forest science throughout Latvia are surveyed. During this time LAAFS representatives, along with colleagues from the scientific institutes, listen to reports from research institutions on the progress made during the reporting period and on future plans. During the event, technical facilities of scientific institutions are presented along with experimental laboratories and fields. During its operating time LAAFS has established close cooperation whit the scientific institutions of Latvia Univesity of Agriculture (LUA), for example Institute of Soil And Plant Science; Latvian Plant Protection Research Centre, Biotechnology and the Scientific Institute of Veterinary Medicine etc., as well as with other scientific institutions, e.g. Horticultural Research Centre Pūre; State Stende Cereal Breeding Institute; Priekuli Plant Breeding Institute; Institute of Horticulture; Latvian State Forest Research Institute "Silava"; Institute of Food Safety, Animal Health and Environment “BIOR”; which regularly participate in these trial events. DESCRIPTION: The Ministry of Agriculture, Nature and Food Quality stands for sustainable food, valuable nature and a vital landscape. The Ministry of Agriculture, Nature and Food Quality wants to ensure good prospects for the Dutch farming, horticulture and fishing sectors, which are renowned worldwide for producing good-quality food that is safe and affordable. The Ministry is working with all stakeholders to restore and maintain natural areas. It aims to consolidate the agriculture sector’s leading international position, strengthen the link between nature and agriculture, and improve farmers’ economic situation. Within the Ministry the Department of Agro and Nature Knowledge, is responsible for the ‘knowledge’ policy and relating research, extension and education programmes. The department of Agro and Nature Knowledge is, among other things, responsible for the funding of the public research and the public part of the public-private research programmes on sustainable crop production. DESCRIPTION: NWO, the Netherlands Organization for Scientific Research, is the national research council of the Netherlands located in both The Hague, the administrative capital of the Netherlands, and Utrecht. An independent organization, NWO, has a legally defined task to promote scientific research at Dutch universities and research institutes and to raise the quality of that research in all scientific disciplines. NWO is a largely decentralized organization governed by an Executive Board consisting of senior Dutch researchers. NWO comprises four research Domains and various thematic steering bodies, each with its own governing board and supporting secretariat. Innovation by open, competitive funding is a key element in NWO activities. Different ministries contribute to the annual budget of approximately 750 M€, with core funding provided by the Ministry of Education, Culture and Science. DESCRIPTION: The Research Council of Norway (RCN) is a common public administrative and allocating agency for all disciplines and segments within the research sector. The Research Council of Norway works to add value to the research system by facilitating research that actors in the system could not successfully achieve working on their own. The Research Council seeks to promote an integrated R&D system that supplies high-quality research, develops knowledge for dealing with key challenges to society and the business sector, fosters dynamic interaction within the R&D system nationally and internationally, and creates a framework for learning, application and innovation. The Research Council provides input to the government authorities on issues relating to research policies. RCN administrates and allocates public research funding. RCN is a meeting place and network builder for researchers and the research community, funders, stakeholders and end-users of research findings, as well as a bridge-builder between Norwegian and international research. DESCRIPTION: The National Centre for Research and Development (NCBR, Narodowe Centrum Badań i Rozwoju) is an implementing agency of the Minister of Science and Higher Education. It was established in 2007 as an entity in charge of the performance of the tasks related to science, technology and innovation polices adopted by the Polish government. When founded, it was the first entity of this type in Poland, created as a platform of effective dialogue between the scientific and business communities. Currently, it operates under the Act on National Centre for Research and Development dated 30 April 2010 (Journal of Laws of 2017, item 1447). Since 2011, the National Centre for Research and Development has been distributing the EU’s structural funds for the development of the science and higher education sectors in Poland. The Centre was assigned by the Ministry of Science and Higher Education the function of the Intermediate Body in three operational programmes during the financial period 2007-2013: Human Capital, Innovative Economy and Infrastructure and Environment. The budget managed by the Centre in those years for structural funds amounted to around EUR 4.5 billion. In the current financial perspective, the Centre is an Intermediate Body for two operational programmes: Knowledge, Education and Development - aimed at improving quality and efficiency of the Polish higher education sector; and Smart Growth - aimed at strengthening research, technological development and innovative undertakings in Poland. The main tasks of the National Centre for Research and Development are: management and execution of strategic research and development programmes; support of commercialization and other forms of transfer of scientific research results; management of applied research programmes; and financing projects of national security and defence projects. Currently, the Centre can support R&D on every Technology Readiness Level (TRL), which enables support of projects from the formation of ideas until successful commercialisation. DESCRIPTION: The Executive Agency for Higher Education, Research, Development and Innovation Funding (UEFISCDI) is a public entity of the Central Administration under the ultimate authority of Ministry of Education and Research. 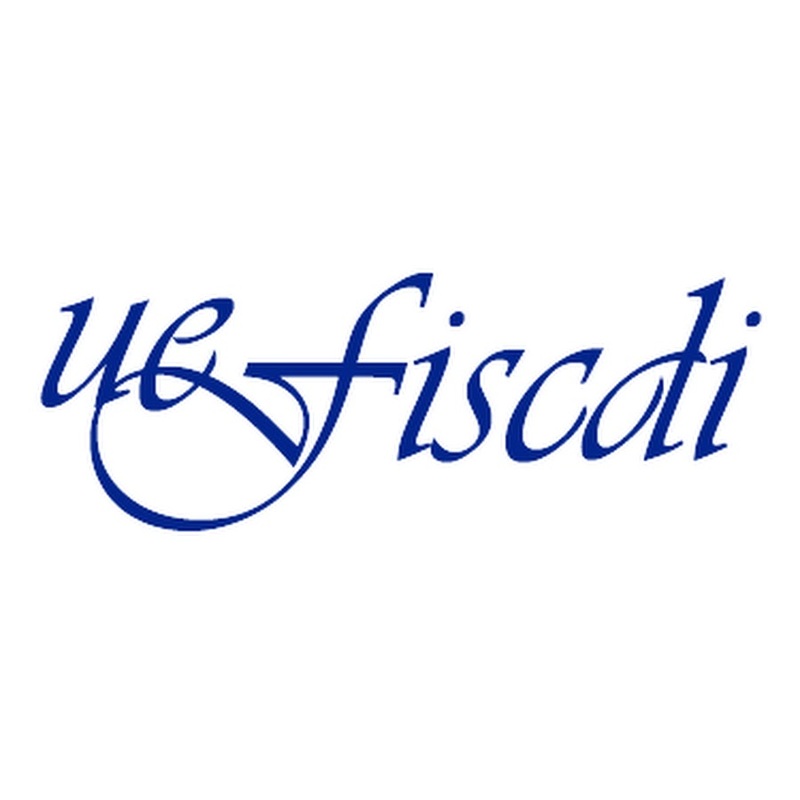 UEFISCDI reached the current status in July 2010, by merging three organisations with responsibilities for the management and administration of various programs in the fields of higher education, research, development and innovation: Executive Agency for Higher Education and Research Funding (UEFISCSU), National Centre for Programme Management (CNMP), Management Agency for Research, Innovation and Technology Transfer (AMCSIT). UEFISCDI implemented, under the supervision of its advisory councils, four out of the six programs of the National Plan for Research, Development and Innovation 2007 - 2013 (PN II), i.e. : Human Resources (exploratory research), Ideas (exploratory research), Partnerships in Priority S&T Areas (applied research), Innovation (innovation and technology transfer). Also UEFISCDI implements, under the supervision of its advisory councils, four out of the five programs of the National Plan for Research, Development and Innovation 2015 - 2020 (PN III), i.e. : Program 1: Development of the national R&D (1.1. Human Resources (full); 1.3. Infrastructures R&D (partially); 1.4. Support (partially); Program 2: Increasing the competitiveness of the romanian economy through research, development and innovation (2.1. Competitivity through research, development and innovation (partially)); Program 3: European and international cooperation (3.1. Bilateral / multilateral (excluding the bilateral program with AUF); 3.2. Horizon 2020 (full); 3.5. Other European and international initiatives and programs (full); 3.6. Support (partially)); Program 4: Basic research and frontier (full). Externally, UEFISCDI acts for the promotion of Romanian R&D and its integration in the international scientific community, by cooperating with similar organizations in Europe and worldwide and supporting Romanian R&D actors to develop international partnerships. UEFISCDI is involved in over 40 international projects, most of them under ERA-NET Scheme FP7/ H2020. UEFISCDI has strategic partnerships & cooperation agreements with the following organizations: ESF, SNSF, ANR, DFG, NSF. The Agency purpose is to evaluate, manage, finance and then monitor technical research activities (mainly research projects) intended to generate, exchange and exploit knowledge as fostered by Central State Government. The Agency objectives comprise the fostering of scientific and technical research in all areas of knowledge through the efficient allocation of public resources, the promotion of excellence, duly encouraging cooperation between the System agents and providing support for generating high impact scientific and technical, economic and social knowledge, including the most serious societal challenges. As well, the Agency has established agreements with other public or private, national or international entities/bodies, in order to promote the R&D and innovation within the implicit range of its purpose and objectives. Centro para el Desarrollo Tecnológico Industrial, E.P.E. DESCRIPTION: The Centre for the Development of Industrial Technology (CDTI) is a Spanish public organisation under the Ministry of Science, Innovation and Universities whose objective is to help Spanish companies to increase their technological level. In order to achieve this goal, CDTI develops several activities such as the funding of RTD projects and supporting Spanish entities in their international technological activities. CDTI manages the Spanish participation in several international programmes for technological cooperation (including EUREKA and Eurostars) and have a strategic network of offices and delegates abroad which facilitate the participation of Spanish companies in technological cooperation projects. The Foreign Network of CDTI operates in 28 countries: Japan, South Korea, China, India, USA, Morocco, Chile, Brazil, Mexico, South Africa, Egypt, Algeria, Canada, Argentina, Colombia, Peru, Taiwan, Malaysia, Australia, Singapore, Indonesia, Thailand, United Arab Emirates, Turkey, Israel, Russia and Switzerland. CDTI also hosts several delegates at programme committees and national contact points (NCP) for the HORIZON 2020 Programme of the EU, among others for the area of “Food security, sustainable agriculture and forestry, marine and maritime and inland water research and the bioeconomy”. The CDTI is actively involved in the relevant management committees, where it defends national interests and fosters Spanish participation by means of promotion actions organised in conjunction with other entities, as well as providing financial backing in the proposal preparation phase. Apart from its premises in Madrid, it has an office in Brussels that it shares with other entities, the Spanish Office for Science and Technology (SOST), which is its based to help the companies and entities interested in the Framework Programme, particularly in relation to submitting and negotiating contracts and their formalities with the EU. 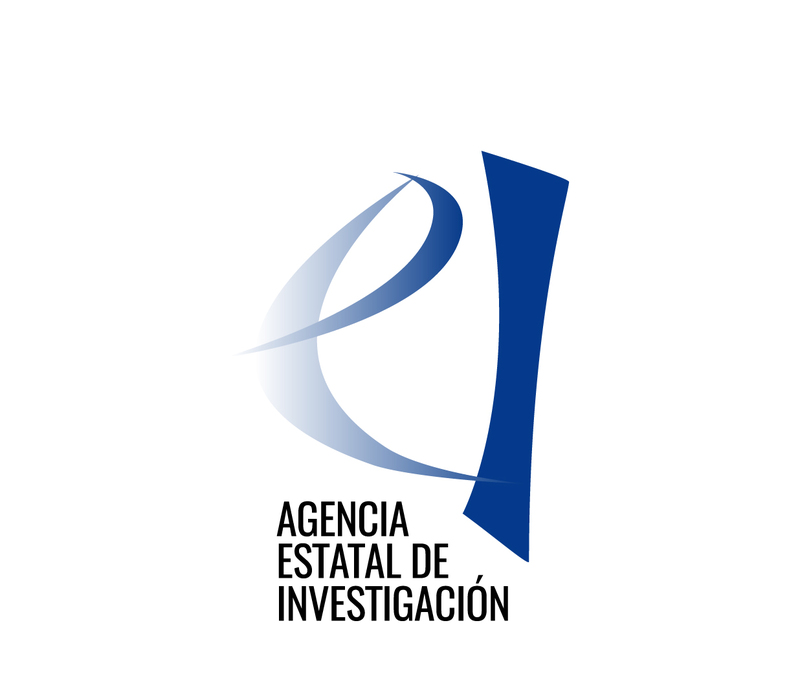 CDTI is also one of the Spanish organisations managing Structural Funds for innovation activities. DESCRIPTION: The National Institute for agricultural and Food Research and Technology (INIA) is a public research institute of the State Secretariat of Research, Development and Innovation belonging to the Ministry of Science, Innovation and Universities. Its objectives are the programming and coordination of scientific and technological activities, their monitoring and evaluation and the undertaking of research and technological development functions, including the technological transfer in Agriculture and Food sectors. INIA carries out R&D&I activities in the agrifood sector through different centres as: Forest Research Centre (CIFOR), Animal Health Research Centre (CISA), Plant Genetic Resources Centre (CRF), and departments as: Biotechnology, Environment, Animal Breeding, Plant Protection, Animal Reproduction and Food Technology. Other research activities are also carried out at the Plant Biotechnology and Genomics Centre (Soria), the Organic and Mountain Agriculture Centre (Plasencia) and the national R&D Centre for Iberian Swine (Zafra). INIA is the Spanish representative to the CGIAR (Consultative Group on International Agricultural Research), and supports a wide range of activities in Latin American countries through bilateral scientific cooperation agreements. It is also the Spanish representative to the Management Committees of the EU Framework Programme of R+D in the Agro-food ambit and it is the Spanish representative in the SCAR Committee and in the Secretariat of the Joint Programming Initiative on Agriculture, Food Security and Climate Change (FACCE JPI). DESCRIPTION: The Ministry of, Agriculture and Forestry (MoAF) has responsibility in agricultural research and has 84 years of experience in funding and coordinating research and development projects in the field of agriculture. MoAF coordinates and implements the agricultural R&D activities through the General Directorate of Agricultural Research and Policies (TAGEM) established in 1991. The General Directorate of Agricultural Research and Policies (TAGEM) is the headquarter of the National Agricultural Research System and responsible for determining national research strategy, setting up research priorities and allocating available financial resources to the programs and assisting the Ministry in developing agricultural policies. Under the Administration of TAGEM, 21 Central and Regional Research Institutes and 28 Subject-Oriented Research Institutes carry out R&D activities in accordance with priorities of TAGEM. Additionally, 8 Veterinary Control Institutes of TAGEM are authorized to do research. In regard to human resources, approximately 2000 researchers have been working within the framework of TAGEM system. Animal breeding and husbandry, animal health, aquaculture and fishery, plant breeding and agronomy, plant health, food and feed, postharvest technologies, biodiversity/genetic resources, organic agriculture, biosafety, soil and water resources management, climate change and environment, agricultural economics and bio-economy, extension and innovation are the research areas of TAGEM and connected institutes. In brief mandates of TAGEM are to prepare of the National Agricultural Research Master Plan, to determine of the research priorities and ensure the use of resources according to the priorities, to monitor and evaluate research programs, to carry out research to improve new technologies and applied end-user, to improve research system, human resources and capacity, to publish research results and provide the use of developed technologies, to assist the government in developing agricultural policy, to prepare reports for policy makers to prevent probable crisis. DESCRIPTION: Founded in 1963, TUBITAK is the leading agency in charge of management, funding and coordinating scientific and technological research in Turkey. TUBITAK functions under the fold of the Ministry of Industry and Technology with adequate administrative and financial autonomy. TUBITAK is also the national coordinating body for the EU Framework Programme Horizon 2020 in Turkey. TUBITAK’s main tasks are to determine Turkey’s science and technology policies; to support, encourage and coordinate scientific research; to establish and operate special institutes to conduct research and development activities geared towards the priorities set by the Science Board. It provides scholarships and support to researchers and organizing contests to discover and train future scientists; develops support programs for R&D activities and innovations in public and private sectors; promotes university-industry collaborations; publishes scientific journals, popular science magazines and books that make science accessible to the public and supports researchers with awards. 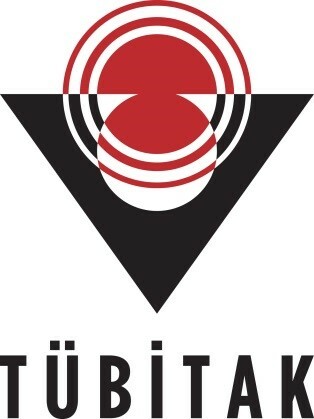 TUBITAK is the executing agency in deployment of international scientific and technological agreements. To improve the environment so everyone can enjoy a cleaner, healthier country that is protected from natural threats, including flooding. To promote and grow our world-leading food and farming industry to encourage enterprise and boost productivity. To connect and help rural communities thrive so that everyone can enjoy the benefits of a growing economy. Defra has responsibility in England and Wales for policy in the areas of farming, environmental protection, animal health and welfare, marine and fisheries, food and drink, horticulture, rural affairs, plants and seed, sustainable development, wildlife and countryside and exports and trade, and adopts an evidence based approach to policy making. Research is funded in the natural sciences, economic analysis, social research, horizon scanning, statistics and operational research areas. Farming and food research focuses on agriculture and climate change; sustainable farming systems and biodiversity; sustainable water management; resource efficiency and resilience in the food chain. Increasing productivity through technological innovation, protecting consumers; ensuring the integrity, resilience and security of food systems is a key priority in the food and farming evidence portfolio.